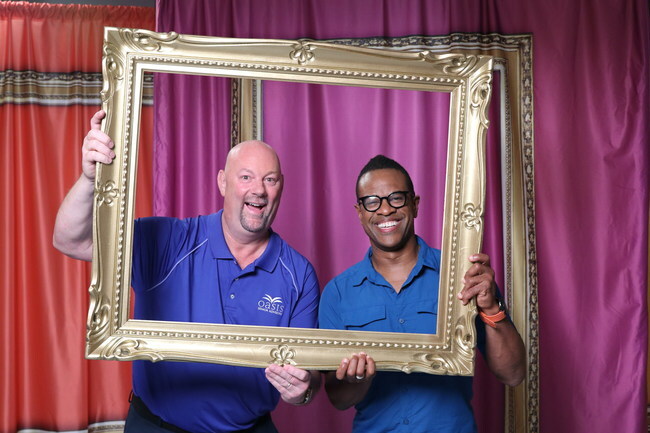 KING OF PRUSSIA, Pa. — Goddard Systems, Inc.’s (GSI), the franchisor of The Goddard School, annual franchisee convention was held in Nassau, Bahamas. Recipients of its yearly awards were announced to honor model franchisees who contribute to their communities through service-based projects and provide high-quality childcare with leading health and safety practices. Goddard School franchisees attend the convention because they know it is essential to running a successful business. For a full list of categories and award winners, visit The Goddard School’s website. “Ideas generated in workshops and time spent with fellow owners keep you up on latest trends and changes in the industry/business. 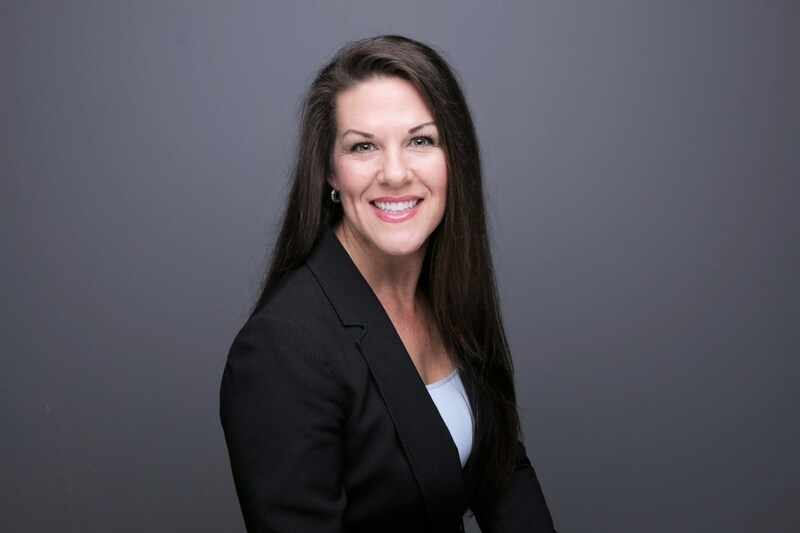 Networking is paramount at these events and provides so much connection amongst GSI and Franchisees,” said Barbra Bryan from Mooresville, NC. The Goddard School focuses on learning through play for children from six weeks to six years old. This year marks the system’s 30th anniversary in business. Learn more about franchising opportunities with The Goddard School at www.goddardschoolfranchise.com. Celebrating 30 years of continued growth in early childhood education, The Goddard School uses the most current, academically endorsed methods to ensure that children have fun while learning the skills they need for long-term success in school and in life. The Goddard School’s Educational Advisory Board, comprised of acknowledged experts in various fields of early childhood education, contributes to the development of The Goddard School’s F.L.EX.® Learning Program (Fun Learning Experience), which helps children explore and discover their interests in a safe, nurturing environment. Goddard Systems, Inc., the franchisor of The Goddard School, earned AdvancED Corporation Accreditation and Middle States Corporate Accreditation for meeting high standards in early learning, child development and childcare. The Goddard School serves more than 65,000 students ages six weeks to six years in more than 480 Goddard Schools in 36 states and is poised to open its 500th School in 2018. 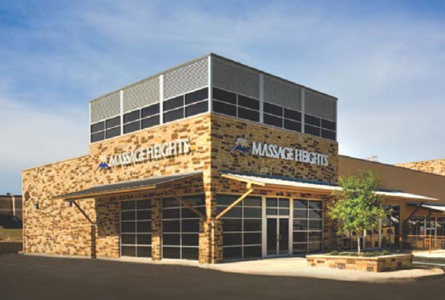 SAN ANTONIO — Massage Heights, a leader of professional, affordable and convenient therapeutic massage and facial services, announced today the Massage Heights Westlake Village Retreat is now offering facial services. To celebrate the launch of new services, Massage Heights Westlake Village will offer a facial with a free elevation for just $69.99 through Dec. 31. Massage Heights’ elevations are formulated to enhance the benefits of its facial services and include a bioactive peel that targets fine lines, hyperpigmentation, and acne; microdermabrasion, a gentle exfoliant; Skin Enriching, which helps lift and firm the skin, as well as reduce dark circles or eye inflammation; Skin Refining, which stimulates circulation and helps oxygenate the skin; and Skin Purifying, which promotes deep cleansing. Guests are encouraged to schedule an appointment with a Skin Therapist to determine a specialized treatment. Massage Heights Westlake Village, located at 2900 Townsgate Road, Suite 210, has served the local community since 2008. On July 1, 2017, local entrepreneurs Kelly Hoyman and Becky Leehey assumed ownership. The business owners will host invite-only events to showcase the new services and educate members and guests about the different types of facials and elevations offered. Community members interested in attending can reach out to Leehey at becky.leehey@massageheights.com. Massage Heights in Westlake Village is open Monday – Friday from 9 a.m. – 9 p.m., Saturday from 9 a.m. – 7 p.m., and Sunday from 10 a.m. – 6 p.m.
LAS VEGAS — AtWork Group, an award-winning national staffing franchise, announced today the addition of staffing industry veteran CJ Rodriguez to the executive leadership team of their Las Vegas, Nevada location. Rodriguez will serve as President of the branch and be in charge of spearheading the addition of their healthcare and bioscience divisions, while also developing growth strategies for their professional, commercial, and government service divisions. AtWork was recently ranked No. 88 in Entrepreneur Magazine’s Franchise 500® ranking and No. 106 in their Fastest Growing Franchises ranking. The company was also ranked No. 18 in the Franchise Times Fast & Serious list, in addition to receiving a Franchise Times Top 200+ ranking five years in a row. Staffing Industry Analysts (SIA) recognized AtWork as being one of the largest staffing companies based on revenues, as well as one of the fastest-growing staffing firms in the U.S. in 2018, and Inc. Magazine ranked AtWork on its Inc. 5000 annual list for the fifth consecutive year, placing the company at No. 3,643. Leading Senior Care Franchise Offers Award-Winning Senior Care Services to New Haven County. ROSEVILLE, Calif. — Always Best Care Senior Services, one of the leading senior care franchise systems in the United States, announced today that it has opened its newest franchise in Wallingford, Connecticut. Always Best Care of Wallingford/Greater New Haven marks the company’s sixth location in the state and will provide senior care services to the communities of Branford, Cheshire, East Haven, Guilford, Hamden, Meriden, Madison, North Haven, North Branford, New Haven, Orange, Prospect and Wallingford. The new agency is owned and operated by first-time franchisee Linda Craig. As a resident of Wallingford for more than three decades, Craig has built a career devoted to helping the local community through various roles within the healthcare industry. The entrepreneur has experience in pharmaceuticals and laboratory management and most recently held the position of Regional Manager of Business Development for an oncology medical diagnostics company, establishing a strong network of healthcare professionals within the community. Craig earned a masters degree from the University of West Haven and a bachelor’s degree from Drew University. Always Best Care also offers an exclusive program called Always in Touch, a telephone reassurance program that provides a daily phone call to seniors and disabled adults who are living alone and have limited contact with the outside world. Always in Touch is the only absolutely free national telephone reassurance program of its kind anywhere in the USA and Canada. Global Coffee and Smooth Franchise Offering 50 Percent Online Discount Nov. 26. SCOTTSDALE, Ariz. — Just in time for the holiday rush, Maui Wowi® Hawaiian Coffees and Smoothies (www.MauiWowi.com) is giving coffee lovers that extra caffeine boost they need with another sweet Cyber Monday deal. When online shoppers visit shop.mauiwowi.com on November 26, they’ll be able to purchase 12-ounce bags of premium Maui Wowi Hawaiian coffee blends at half price using the promotional code CYBER at checkout. This is a one-day-only deal, valid on Cyber Monday. One fan-favorite blend that will be available to shoppers is the limited-time-only Maui Mountain Roast: a bold coffee blend made with beans cultivated in the premier coffee-growing conditions of Maui that offers subtle hints of wild berry with an earthy finish. Other popular choices include dark roasts like the Molokai blend and flavored coffees like Toasted Coconut, Chocolate Macadamia Nut and Vanilla. Maui Wowi harvests its coffee beans from Hawaii’s Kona District, Molokai, Maui and Kauai regions, which are known for their rich volcanic soil—perfect for growing coffee that is smooth and less acidic. Since 1982, Maui Wowi® has embraced the Hawaiian culture and has been serving paradise in a cup since the day it began, over 30 years ago. 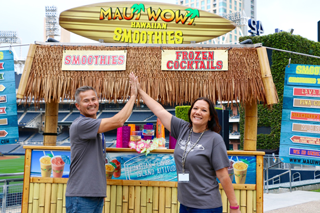 From event carts, mall kiosks and stand-alone retail locations, Maui Wowi offers premium smoothies, as well as gourmet Hawaiian coffees and espresso beverages. The company maintains strong community involvement through fundraising efforts by its franchisees, in addition to Team Karma; an initiative that promotes corporate responsibility and giving back to the community. The brand has more than 450 operating units and an online store. In November 2015, Maui Wowi was acquired by Kahala Brands™, one of the fastest growing franchising companies in the world with a portfolio of nearly 30 fast-casual and quick-service restaurant brands with approximately 3300 locations in 30 countries. Leading non-medical home care franchise recognized by Entrepreneur Magazine for second consecutive year. CINCINNATI — FirstLight Home Care, an award-winning provider of non-medical home care, was ranked by Entrepreneur Magazine as one of the top franchises for veterans. FirstLight was evaluated based on veteran incentives, support of veteran franchisees, and its ranking in the 2018 Franchise 500. This is the company’s second year in a row making the list. As part of its support for all U.S. military veterans, FirstLight discounts its franchise fee by $12,500 for veterans. Bevis also serves as the current committee chairman of the International Franchise Association (IFA) Education Foundation VetFran Committee, which helps provide access and opportunities in both employment and franchising for veterans and their spouses. Additionally, FirstLight regularly attends and presents at regional and national events that are created to assist transitioning veterans to highlight both business ownership and employment opportunities that exist within the franchise industry for veterans and their spouses. In addition to making Entrepreneur Magazine’s Top Franchises for Veterans list, Franchise Business Review ranked FirstLight as a Top Franchise for Veterans for the second consecutive year. The recognition from Entrepreneur adds to the recent awards FirstLight has been receiving lately. In recent months, the company has also made the Inc. 5000 list of fastest-growing, privately held companies (for the 4th consecutive year of eligibility), as well as the Franchise Times Top 200+ of the 500 largest franchise companies for the fourth and sixth consecutive times, respectively. The company has also made Franchise Business Review’s Top 100 Franchises for Innovation list. The complete list of Entrepreneur Magazine’s 2018 Top Franchises for Veterans can be found at https://www.entrepreneur.com/franchises/topfranchiseveterans/2018/. FirstLight Home Care is a top rated non-medical home care provider with a network of offices that provides more than 100,000 hours per week in care for more than 4,800 clients in over 34 states. The company has created a new standard in home care by combining best practices with innovative approaches to make them an emerging market leader in a rapidly-growing industry. Their 4,700 caregivers provide companion and personal care services at private residences, assisted living and retirement communities, nursing homes, adult-family homes and group homes. Clients include seniors, new mothers, individuals recovering from surgery, veterans, adults with disabilities and anyone 18 and over who might just need a little extra care or assistance. Oasis Senior Advisors underwrites new PBS storytelling program. BONITA SPRINGS, Fla. — Oasis Senior Advisors celebrates the bond between seniors and their families. That’s why the Bonita Springs-based franchisor is proud to underwrite the production of Family Pictures USA, a television series and transmedia project that will air in the spring of 2019 on WGCU-TV and nationally on the World channel. Family Pictures USA blends the personal narrative style of the popular PBS series StoryCorps with the surprising discoveries that made Antiques Roadshow a hit show on public television. The production crew traveled to Southwest Florida, Detroit and North Carolina to film families as they sorted through old photos and gained fascinating insight about their heritage. The show is an offshoot of Digital Diaspora Family Reunion, a touring program that brings people together to encourage them to engage with their own family photographic archives in galvanizing ways. Perry and Family Pictures host and creator Thomas Allen Harris came to Southwest Florida this fall and held two photo sharing events where families brought in their old pictures, many of which became the basis for the storytelling that takes place on the show. One of the segments features Independent Miccosukee native Larry Osceola and family going through their albums, an experience that piqued the interest of the family’s children in surprising ways. “The kids were like, ‘We should do this more often.’ They thanked us. They had such a ball doing it that they want to make it a regular thing,” Perry said. Part of the idea behind the show is to reintroduce families to a way of exploring their own history that strengthens ties with older members of the family. Oasis Senior Advisors is dedicated to helping seniors live better lives by providing a no-cost service that guides them to the right place for their care. The company undertakes numerous initiatives that help raise awareness of issues that affect seniors, such as the Virtual Dementia Tour, which affords caregivers, health care workers and family members a better understanding of the disease. Founded in 2014 by Tim Evankovich, Oasis Senior Advisors provides free, personalized help finding transitional housing solutions that best fit the needs of seniors and their families. This includes senior housing, hospital discharge, elder law, specialty care, and more. 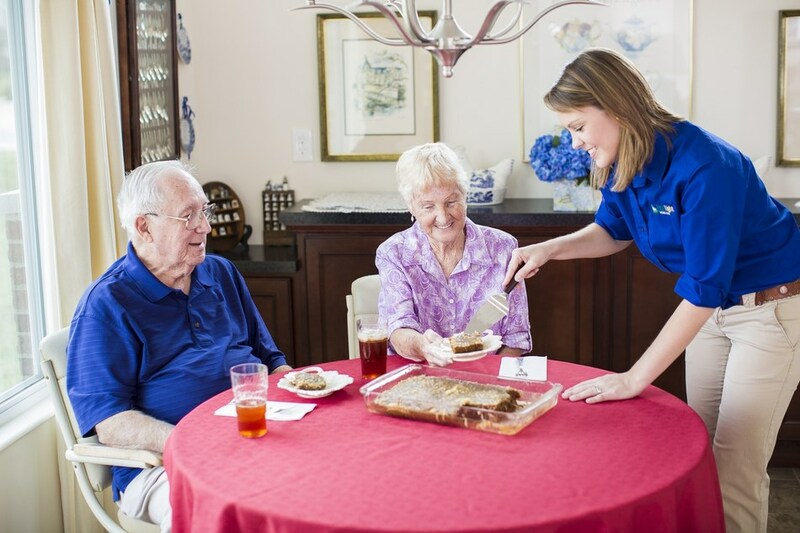 The company, based in Bonita Springs, Florida, operates a growing number of franchises across the U.S. Their personalized and caring approach to aid seniors and their families has helped many achieve satisfaction, comfort and peace of mind. Through client satisfaction and its strong partnerships with many top-rated senior living communities and services in the country, Oasis Senior Advisors is positioned for continued growth. Franchise opportunities are available nationwide. National non-medical home care provider announces new Chicagoland location. CHICAGO — FirstLight Home Care, an award-winning provider of non-medical home care, announced today it will expand its presence in the Chicagoland area when its new location in Algonquin/northwest suburbs opens in early 2019. The office will be owned and operated by the father-daughter team of Glenn and Katarina Garbowicz. FirstLight Home Care of Algonquin will be serving the northwest Chicago suburbs, including Carpentersville, Elgin, Huntley, St. Charles and Sleepy Hollow. Qualified caregivers — home health aides and CNAs — all across this northwest suburban area interested in FirstLight career opportunities are encouraged to email either Glenn Garbowicz at ggarbowicz@firstlighthomecare.com or Katarina Garbowicz at kgarbowicz@firstlighthomecare.com. FirstLight serves seniors, adults with disabilities, new mothers, veterans, those recovering from surgery and other adults in need of assistance. Their caregivers help with many needs – from personal hygiene and household duties such as cooking, cleaning and running errands to mobility assistance and dementia care. SONOMA COUNTY, Calif. — NEXTAFF, an industry leader in identifying quality talent for businesses, today announced it is opening its first location in Sonoma County, California. The new office will operate in Rohnert Park, California, and will offer staffing solutions to businesses in all industries. NEXTAFF offers a proprietary recruiting method called X-FACTOR™, which combines hiring methodologies that are statistically proven to outperform what typical staffing competitors and HR departments traditionally do. 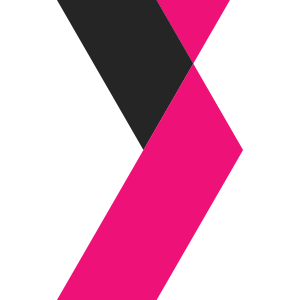 NEXTAFF helps companies identify, evaluate and acquire quality talent through our proprietary X-FACTOR™ model. Our comprehensive approach is designed to outperform a typical staffing supplier model by up to five times. Each office is locally owned and operated, which allows our clients to work directly with owners in hiring quality talent. 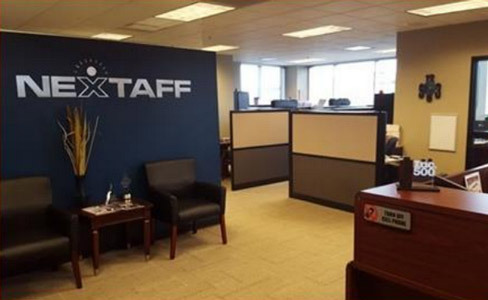 As the franchise division of Malone Workforce Solutions, NEXTAFF offers a variety of custom solutions to industrial, administrative, professional, information technology and healthcare industries. NEXTAFF’s goal is to enable clients to concentrate on their core business activities while we identify, evaluate and acquire quality talent. KNOXVILLE, Tenn., Nov. 14, 2018 /PRNewswire/ — Pet Supplies Plus – the largest and most trusted pet retail franchise in the United States – stepped in to help assist the team at the RHEA County Animal Shelter after the organization rescued 119 Yorkies, Chihuahuas and other smaller-breed dogs from a horrible puppy mill in Knoxville, Tennessee last month. In effort to get the dogs back in good health, Pet Supplies Plus donated over $20,000 worth of product and supplies. As of today, the corporate team from Pet Supplies Plus was able to provide wet dog food, deworming medicine, flea/tick prevention, bandages, medical supplies, beds, food bowls and other necessary grooming supplies such as brushes, nail trimmers, etc. While some dogs have regained their health, some are still are on the road to recovery and are waiting to be medically cleared in addition to being assessed for any behavioral issues. Each dog is still in foster care with a long list of potential adoptive parents, many who are currently fostering the dogs, lining up to place them permanently in their forever homes. Immediately following the evacuation from the inhumane conditions, all animals were transported to the RHEA Count Animal Shelter, located at 9118 Back Valley Road in Evensville. Local Pet Supplies Plus team members from six Knoxville area stores – Pet Supplies Plus of Maryville, Pet Supplies Plus of Knoxville, Pet Supplies Plus of Knoxville, Pet Supplies Plus of Knoxville, Pet Supplies Plus of Knoxville and Pet Supplies Plus of Cookeville – selflessly donated their time and resources to provide grooming appointments to the dogs, many of which were suffering from severe diseases such as parasites, gum disease and other health issues. Each Pet Supplies Plus team member is trained to treat pets with nothing but kindness, patience, respect and compassion to ensure their well-being. Pet Supplies Plus offers a wide array of natural pet foods, and a variety of Made in the USA pet consumables. These include wet and dry food, treats, rawhide and chews. Set in welcoming neighborhood environments, Pet Supplies Plus team members get to know their neighbors and pets by name at every store. Many locations also feature a full offering of grooming services tailored to meet every pet’s needs, including washes, haircuts, body brushing, flea treatment and nail, skin, ear and oral care. Donations to the RHEA County Animal Shelter are welcome. For more information on when the animals will be available for adoption or how to donate, please visit www.rheacountytn.gov or call (423) 775-7837. 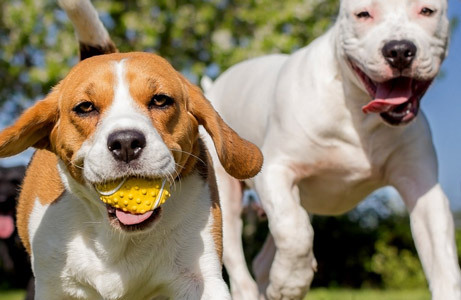 Additionally, neighbors are encouraged to visit www.petsuppliesplus.com/Store to find and contact their closest store for details. Pet Supplies Plus is focused on making it easier to get better products for your pet. With more than 435 locations in 33 states, the stores have a streamlined design making it easy to navigate a wide assortment of natural foods, hard goods and pet services. Headquartered in Livonia, MI., Pet Supplies Plus is ranked in Entrepreneur magazine’s Annual Franchise 500® list as the Top Full-Service Pet Supplies Franchise for its exceptional performance in areas including financial strength, growth rate and system size.